The most common allergies are caused by inhalative allergens. These allergens stem from pollen (hay fever), dust, dust mites, animal hair and bird dust, but also from mould spores that enter through the respiratory tract. The medical term for allergens that derive from pets is called inhalative allergens.The most common pet hair allergy is the cat hair allergy, followed by the dog hair allergy. But allergies can also be triggered by other pet hairs, for example hamsters, horses or feathers and bird dust, especially from parrots. With canaries, parakeets etc. mites can lead to allergic reactions. A bird-keepers lung defines an allergic reaction of lung tissue when entering into contact with bird dust. The more bird dust is inhaled, the stronger will be the reaction of the body. Bird keepers are exposed to a higher dust concentration in their living areas which can make them sick. Parrots such as African grey parrots, amazon parrots, cockatoos or macaws produce a lot of dust with their feathers and becomes easily visible on furniture. Dusting hence turns into a daily task. Because of the dust from the feathers and the feathers themselves, allergies may appear. 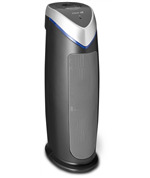 The Clean Air Optima air purifiers with ioniser and HEPA filter offer double protection against bird dust. The ioniser does not only filter the dust incriminating the lungs from the surrounding air but improves general indoor climate. 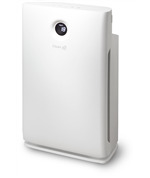 The original TRUE HEPA PPT filter of the HEPA filter class H 13, with overall separation grade 99, 97% filters all particles of minimum 0,3 µm out of the air. 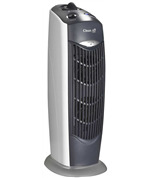 This efficient combination of ioniser, ozone free according to DIN EN 60335-2-65 and HEPA filter within the air purification systems CA-506 and CA-508 liberates indoor air reliably from the relatively big bird dust particles. 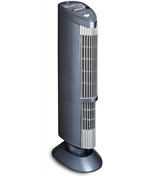 The Clean Air Optima air purifier CA-401 with electrostatic filter (overall separation grade of bird dust between 90 and 95%) is ideal for bird breeders and keepers such as lovers of pigeons, canaries and parrots who can use it in the area of the aviary. 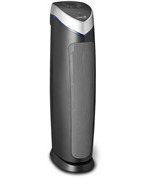 The air purifiers of Clean Air Optima filter microfine dust and odour particles out of indoor air and liberate the air efficiently from allergens such as pollen, dust, dander, cat and dog hair allergens, bird dust from parakeets, parrots, canaries, pigeons etc. and also from unpleasant smells. 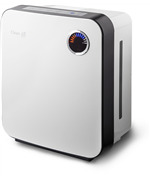 The air purifiers from Clean Air Optima render mites, bacteria, mould and viruses floating in the air inoffensive. Hence the risk of allergic reactions and the transmission of bacteria and viruses is reduced to a minimum.